At the foot of the legendary Ghost Mountain lies the privately owned 4 Star Ghost Mountain Inn. Offering over 550 square meters of indoor function space, combining the stylish comfort of Zululand's Finest Country Inn with the technical requirements for a successful business or leisure event. From smaller meetings and intimate celebrations, to garden weddings and breathtaking banquets for up to 160 people - Ghost Mountain Inn's highly skilled and professional team will design and execute a memorable affair. 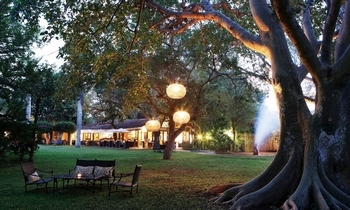 Enquire about our Safari and Spa options for unique add-ons. 500km from Johannesburg and 300km north of Durban, en-route to Swaziland, Mpumalanga and Mozambique.